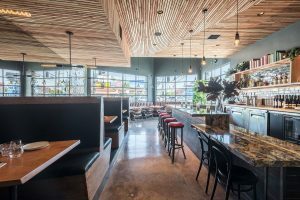 The latest brunch news for Silverlandia is that the neighborhood gastropub ‘Bar Angeles’ has the town talking with their new brunch menu. The pub is located in Silverlake, Los Angeles on 4330 Sunset Blvd and word on the street is that the food is a must try. The Brunch service is a new feature added on the weekends. The Bone Marrow Soft Scramble, Eggs Benedict pizza, french toast just to name a few are some dishes that would have you coming back for more. 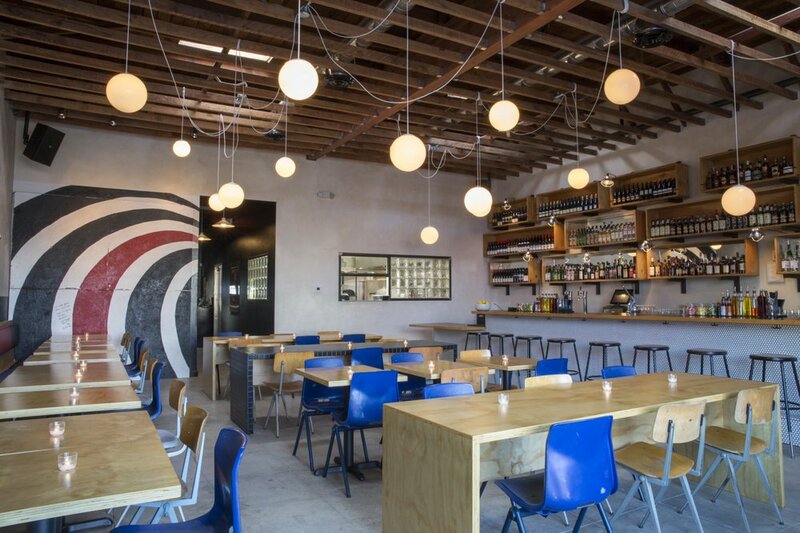 Bar Angeles opened about a year ago and it strives to be “an elevated dive bar” despite what the owners sought, it’s themed after musician Elliott Smith. 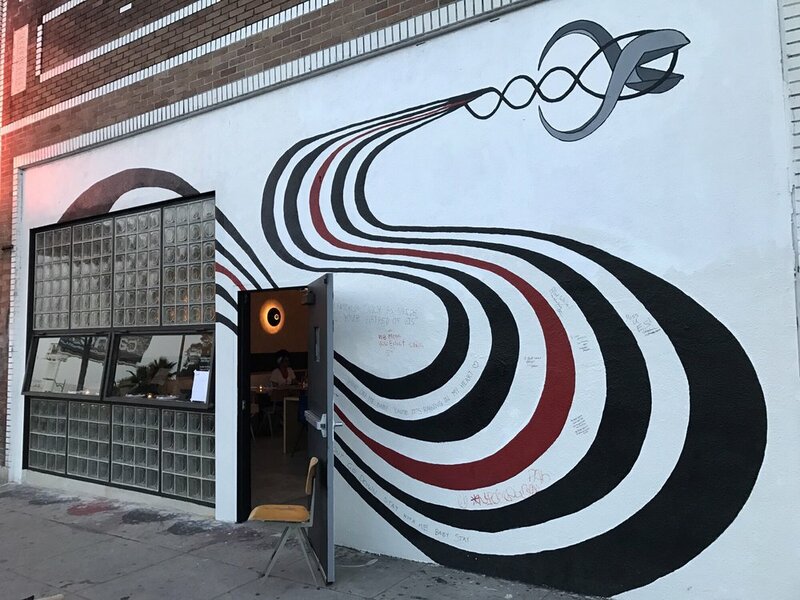 Prior to the opening of Bar Angeles, after the death of Elliott Smith in 2003 it was sort of a monumental mural from singer’s 2000 cover album Figure 8, where fans were able to leave flowers and scrawl tributes. Now the bar / restaurant has now been renovated—new owners cut out a large section of the wall where the mural was and replaced it with glass windows. The red, white, and black piece of the mural is now used as interior decor inside the restaurant to keep the extraordinary alive and fans from feeling forgetful. 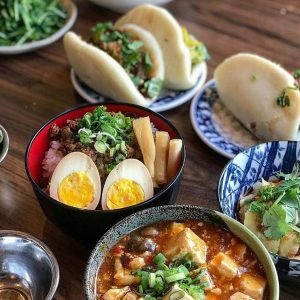 Local neighborhood in Silverlandia continues to grow immensely with unique restaurants/ cafes opening up, not your typical Starbucks venue. Bar Angeles offers a variety in their menu, brunch, and happy hour of course. 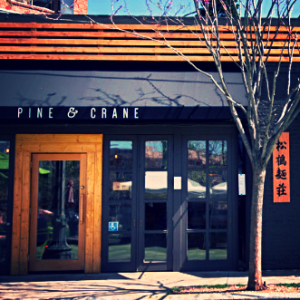 Anyone who enjoys a good brunch make your way from 10am-2:30pm for a tasty food and drinks.